The clay bar has long been known as the “Detailer’s Secret” for restoring a smooth-as-glass feel to exterior automotive paintwork. A slick surface is sign of a professional job, and people love it because it makes the car feel and look brand new. Now that the clay bar is available to the public, anyone can use without calling a professional and paying expensive shop rates. But how can you get professional results if you’ve never used a clay bar? Read on to learn why you need it in the first place, the basic clay bar techniques, and how to protect your work so your car feels and looks great for as long as possible after you use the clay bar. What Is The Clay Bar, And Why Do You Need It? Block fresh wax from sticking to the paintwork, causing wax coats to wear out faster and not look as shiny as they could. Cause paint to oxidize, corrode, and fall off the car prematurely. Block light from reflecting off the clear coat as it should, giving a dull, muted shine to the finish. Get pulled out in your drying towel and physically scratch your finish with every wipe. Only the clay bar removes this contamination without causing more damage. A clean and smooth surface attracts less dirt and grime, and stays cleaner for longer. Prepare the surface for a longer-lasting and better-looking wax bond with improved gloss and shine with your favorite Chemical Guys Clay Bar! When Should You Use The Clay Bar? The detailer’s rule of thumb is to always decontaminate the surface with a clay bar before putting on a new coat of wax, or polishing any exterior paintwork. Those foreign particles block wax from sticking to the paint, making it last for a shorter time and not shine as bright. 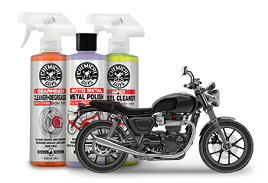 Polishing with any rough contaminants grinds them deeper into the paintwork, causing more marring and scratches as they clog and destroy your expensive buffing pads. If you’ve never used a clay bar before, you definitely need to use one now! 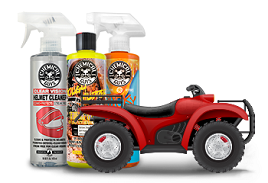 What Contaminates Your Vehicle's Surface? Brake Dust: Particles produced from the friction of brake pads rubbing against the rotor. This intense friction disperses abrasive particles of bare metal, burnt carbon, and pad material into the air, on your wheels, and all over your car. Rail Dust: Raw steel dust produced from the friction of train wheels against railroad tracks and air brakes. Over 75% of new vehicles are shipped by rail, so nearly all new vehicles are contaminated as soon as they leave the factory. Industrial Fallout: Another word for pollution, it’s a byproduct of our modern way of life. Pollution comes from industry, factories, motor vehicle exhaust, and airplane exhaust. Think of exhaust fumes, paint overspray, factory smokestack particulate matter, power plant pollution, smog fallout, and more. Natural Pollution:Even the natural elements can stick to your painted finish and destroy it over time. The biggest offenders are water spot minerals, bug guts, bird droppings, tree sap, and tar. What Can You Use The Clay Bar On? What Can You NOT Use The Clay Bar On? Mist a 2’ x 2’ area generously with Chemical Guys Luber Lubricant. Do You Need A Clay Lubricant? Yes! Clay bars absolutely need some kind of lubricant to work correctly. Without proper lubrication, a clay bar will catch on contaminants, pull them across the surface, and scratch or mar paint. Clay bar lubricants help the clay bar glide across the surface freely. The clay lubricants also flush away any loose particles and help stop them from grinding into and scratching the paint. What Counts As Clay Lubricant? Can You Use Soap And Water When Claying? No! Soap and water is not slick enough for using the clay bar. Use a specific clay bar lubricant, or a super-slick synthetic quick detail spray. Clay bar lubricants are formulated to work with the clay bar without impacting the integrity or cleaning abilities of the synthetic clay. Car shampoos and car wash soaps can break down the clay and shorten its lifespan. Once you have decontaminated the surface of the vehicle with a clay bar, it should feel smooth as glass. This shows you that the surface is completely clean, and there is nothing between the paintwork and your fingertips. Now you must fill the pores of the paintwork with a wax or sealant to block out pollution, contaminants, water, and harsh UV light that stick to and damage the paintwork over time. If you want to, this is the time where you can polish the paint to remove swirls and scratches. If not, skip to the final waxing steps. 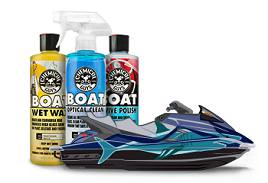 Spread a thin, even coat of your favorite Chemical Guys natural carnauba wax, durable synthetic sealant, or ultra-durable advanced vehicle protective coating to seal and protect the paint from the environment. I Dropped My Clay Bar, Can I Keep Using It? No! Would you chew a piece of gum after dropping it on the floor? No! It’s full of rocks and debris. Don’t rub clay on your paint after dropping it either. Once you drop a piece of detailing clay, you MUST throw it out! The clay is so sticky that it will pick up any tiny abrasive particles, bits of sand, dirt, and grime from the floor. Now the clay bar is like a piece of sandpaper: rub it on your paint, and you’ll scratch it with all those abrasive particles it just picked up. So be careful, work slowly, and only use a small piece of the clay bar at any given time. So if you do drop a small piece, you don’t lose the entire clay bar all at once.